A man died of an apparent gunshot wound in a secluded area of Brandywine, Maryland, Prince George's County Police said. Around 6 p.m. Monday, authorities received a 911 call about a body at Cedarville and Bevard roads, where they found 31-year-old Devine Lionell Wood of Waldorf. He was pronounced dead at the scene, and his car was found in the bushes nearby. "This is a heavily wooded, relatively rural area so it's not heavily populated," Cpl. Nate Lewis with Prince George's County Police said, adding that whomever called 911 may have something to do with the investigation. 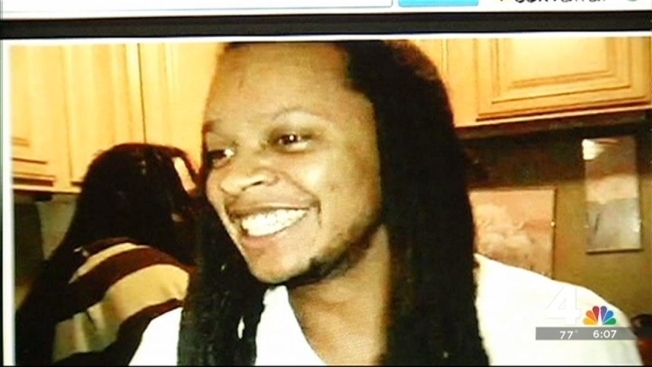 Wood's wife of just one month reported him missing in Charles County Sunday. 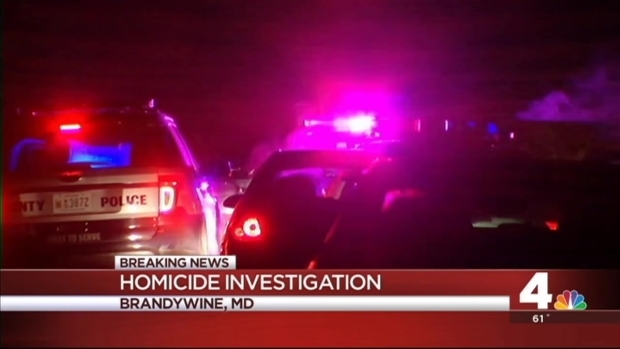 News4's Jackie Bensen reports live from Brandywine, Maryland where police found the body of a man who suffered apparent trauma. "They took the only thing that I have that was on my side. I will never be the same again. I will never love anybody the way that I loved him," Jullanar Wood said. She thinks whomever shot her husband knew him. "I know they [knew him]. They need to come clean and they need to [do it] fast," she said. Jullanar Wood admits she and her husband had troubled pasts but came together to turn around their lives for the better. "We all have trouble in our lives, but nobody deserves to die like that," she said. It's unknown whether Devine Wood was shot in Brandywine, or if the suspects who shot him brought his body there. The area where Wood's body was found belongs to Aggregate Industries, which uses the land as a sand and gravel pit. If you have any information, call CrimeSolvers at 1-866-411-TIPS.